Every mother wants to give their baby the best start in life. They do everything they can to make sure their baby will be healthy and happy – even before the baby is born. 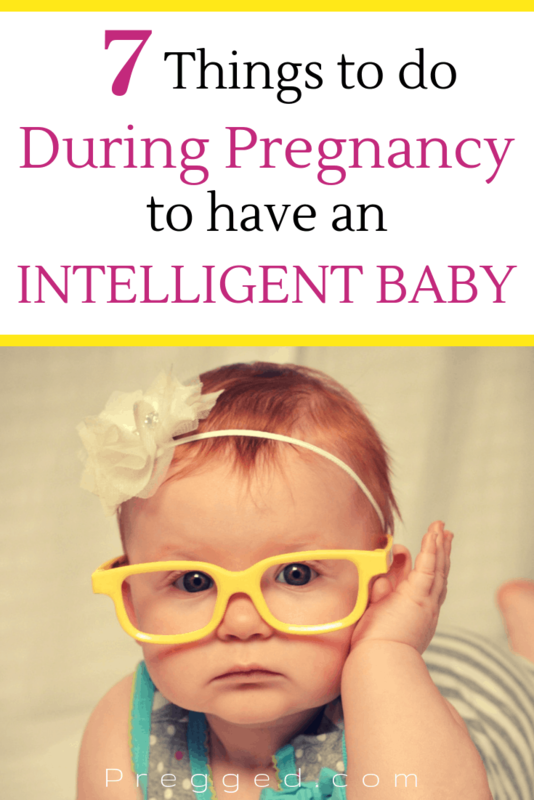 But some people may not realize that there are also things you can do during pregnancy to give your baby an edge in the intelligence department. We’re not talking about growing the next Albert Einstein here. We’re talking about ensuring that the things you do in pregnancy contribute to the growth and development of your unborn baby’s brain. By doing this, you’re ensuring they reach their development milestones with ease. But of course, you’re also hoping for a super smart baby who is one day going to rule the world! Your diet, the things you do in pregnancy, the way you interact with your baby, your emotions, and how much rest you get – these all contribute to the development of your baby in every single way, including his or her brain function. Of course, a lot of the groundwork for your baby’s personality and intelligence level is down to genetics, but many studies have shown that this is only half determined by genes, and the rest is down to the environment around them. So, if you’re looking for a super smart baby, one who hits all their developmental milestones, what do you need to do to influence all of this? It’s actually much easier than you might think. Reading a story to your child at bedtime is a routine which many parents have. But did you know that if you start this early, e.g. 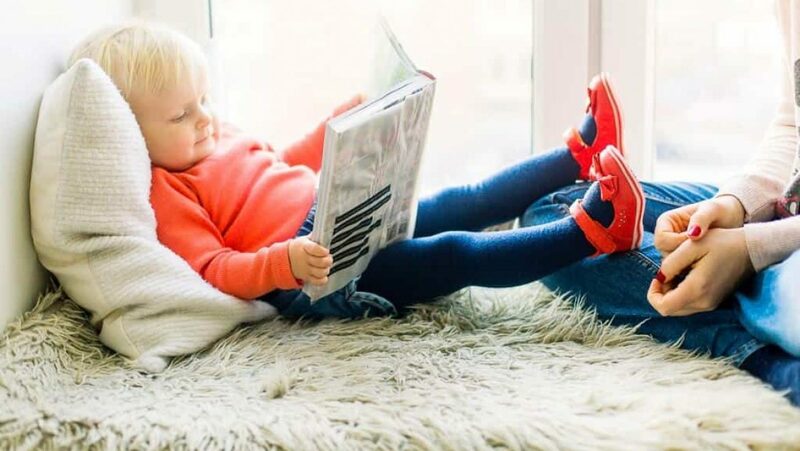 reading stories to your baby before they’re even born, it can help to contribute to their brain power, especially their language skills? By the third trimester, your baby can not only clearly hear sounds, but he or she can also learn to memorize them too. The more you read, the stronger this becomes. Having an active pregnancy is beneficial in many ways, not least for you and your health. It’s also great for your baby’s brainpower. Being active helps to release endorphins which helps you stay happy and upbeat but also your baby too. These endorphins cross over to your baby through the placenta, helping your baby to feel great too. On top of this, exercise boosts your circulation, which is fantastic for your baby’s overall development. Just don’t go over the top, and stick to gentle exercises which are approved by your midwife and doctor. Nature has many advantages for our health and well-being, but heading out into the sunshine gives us a boost of Vitamin D.
Just 20 minutes of Vitamin D soaking is enough to boost your baby’s heart and bone development. On top of this, some research has shown a link between a lack of Vitamin D during pregnancy and the development of autism. So, by getting enough sunshine Vitamins, you’re doing your bit to help protect your baby. If you’re having trouble getting outside enough or you’re pregnant through the winter supplementing with a good quality Vitamin D3 is a good idea. Spend some time just you and your bump. Talk to your bump, massage your bump, and basically be ‘at one’ with your bump! After 20 weeks your baby will start to feel when you touch and massage your bump. It will have a lovely calming effect on them, sending the right types of messages to their nervous system. In addition, your baby starts to hear your voice from around 16 weeks. Talk away, and by the time your baby is born they will be able to distinguish your voice from your partner’s, and anyone else who has spent time chatting with them. Make sure you eat a healthy and varied diet with plenty of Vitamins and minerals to give your baby (and you) the nutrients required for body development, but also for brain development. Essential fatty acids are crucial for proper brain development so now is not the time to be eating a very low fat diet. From 12 weeks your baby has taste buds, and by 25 weeks he or she will be eating whatever you do in abundance. The amniotic fluid your baby absorbs in the womb is flavored by the foods you eat, so stick to plenty of fruits and vegetables for extra nutrient effect. Playing music to your bump, e.g. placing the headphones on your bump (but not too loudly) can do a lot for your baby’s brain development, but it can also ensure that they have good taste in music from the very start. Just like with adults, music helps us to be uplifted and feel good, it helps to release happy hormones, and this is the same for your unborn baby. Stick to chilled out music, and perhaps avoid heavy rock, as this isn’t going to help them feel that calm. The chances are that after birth, your baby will remember the music you played while they were in the womb, and may show those signs of recognition. It’s never too early to start with the nursery rhymes, so get singing ‘Old MacDonald Had a Farm’ to your bump. Babies will hear your voice, but they can also pick up on the changes in your tone which are more apparent when you’re singing happy songs like nursery rhymes. We mentioned that babies remember music, so after your baby has been born, sing the same nursery rhyme and you’ll find that he or she probably calms much quicker because they associate it with a calm feeling in the womb. As you can see, there is nothing particularly difficult in this list, and that goes to show that anyone can help to boost their baby’s brain development, simply by maintaining good health and a little musical interference. Who knows, you might be about to give birth to the next Bill Gates, all down to that nursery rhyme singing you did when you were pregnant! 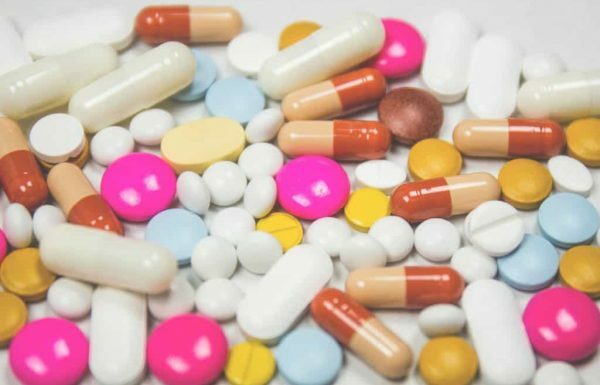 What Medications Can Aﬀect a Pregnancy Test Result? What Does it Feel Like To Be Pregnant?